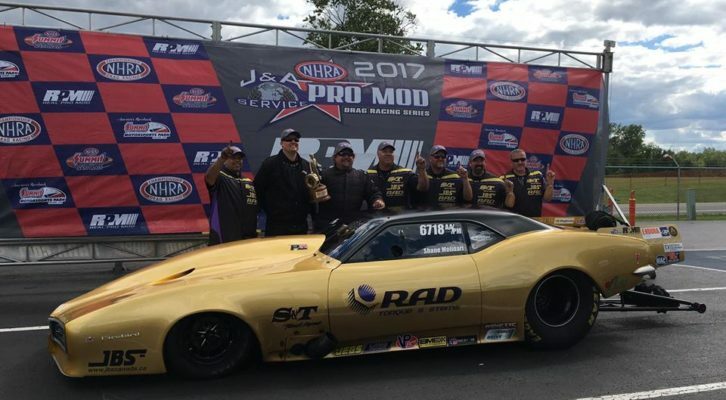 NORWALK, Ohio – Shane Molinari raced to his first career NHRA J&A Service Pro Mod Drag Racing Series victory Sunday at the Summit Racing Equipment NHRA Nationals at Summit Racing Equipment Motorsports Park. This weekend’s Pro Mod racing, presented by the Real Pro Mod Association, was the eighth of 12 events on the 2017 schedule. The finals were a re-match from the race in Bristol where Molinari faced off against Troy Coughlin who took that event win. In Norwalk, Molinari was able to reverse the outcome for the victory. 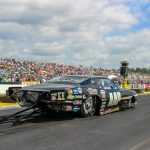 Coughlin had an early advantage off the line but lost traction past the 330 foot mark and Molinari posted a winning run of 5.779-seconds at 257.09 mph in his S&T Truck Repair Inc. ’68 Firebird to the trailing run of 11.743 at 69.91. Mike Castellana retained the points lead in the category with a 82 point lead over Coughlin. NHRA J&A Service Pro Mod Drag Racing visits Indianapolis, Ind. for the Chevrolet Performance U.S. Nationals at Lucas Oil Raceway at Indianapolis, Aug. 30-Sept. 4. NORWALK, Ohio — Final finish order (1-16) at the 11th annual Summit Racing Equipment NHRA Nationals at Summit Racing Equipment Motorsports Park. 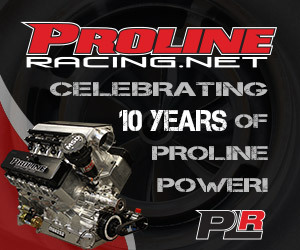 The race is the eighth of 12 events in the NHRA Pro Mod Drag Racing Series. 1. Shane Molinari; 2. Troy Coughlin; 3. Rickie Smith; 4. Mike Castellana; 5. Michael Biehle; 6. Shannon Jenkins; 7. Steve Jackson; 8. Jonathan Gray; 9. Eric Latino; 10. Steven Whiteley; 11. Doug Winters; 12. Danny Rowe; 13. Khalid alBalooshi; 14. Sidnei Frigo; 15. Pete Farber; 16. Steve Matusek. NORWALK, Ohio — Sunday’s final results from the 11th annual Summit Racing Equipment NHRA Nationals at Summit Racing Equipment Motorsports Park. The eighth of 12 events in the NHRA Pro Mod Drag Racing Series. Pro Modified — Shane Molinari, Pontiac Firebird, 5.779, 257.09 def. 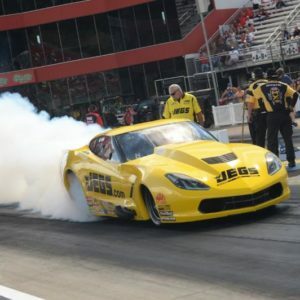 Troy Coughlin, Chevy Corvette, 11.743, 69.91. 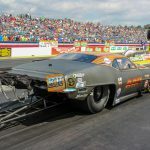 NORWALK, Ohio — Final round-by-round results from the 11th annual Summit Racing Equipment NHRA Nationals at Summit Racing Equipment Motorsports Park, the eighth of 12 events in the NHRA Pro Mod Drag Racing Series. FINAL — Molinari, 5.779, 257.09 def. Coughlin, 11.743, 69.91.